The presence of autism spectrum disorder (ASD) in one sibling can impact typically developing (TD) siblings’ adjustment and quality of the sibling relationship. 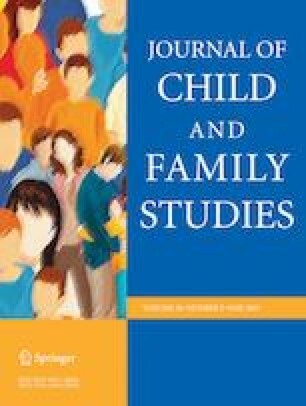 The present study examined the impact of sibling characteristics on both the sibling relationship and adjustment in TD siblings using self, parent, and clinician reports. Fifty-two TD siblings and parents completed questionnaires about TD sibling adjustment and sibling relationship quality. Greater behavior difficulties in siblings with ASD related to poorer TD sibling adjustment and quality of the sibling relationship. A more positive TD sibling perception of the sibling relationship was associated with greater TD sibling coping and support. Findings are discussed in terms of how these risk factors can inform interventions. We thank the families who participated. We also thank the sibling program and personnel at Queens College, City University of New York that enabled us to conduct this research. We thank Service Corps students from 2014–2017. This work was supported in part by awards from the Organization for Autism Research and City University of New York (PSC-CUNY, jointly funded by The Professional Staff Congress and The City University of New York [grant number 69089-00 47], Undergraduate Research and Mentoring Education, Service Corps, and Workforce Development Initiative). E.A.J. designed and executed the study and wrote the paper. T.F. assisted with data collection and analyses and collaborated in writing the paper. J.L.S. assisted with data analyses. R.S. assisted with study execution and collaborated in writing the paper. N.N. assisted with data collection and analyses. D.M.F. assisted with study design and execution. All procedures performed in studies involving human participants were in accordance with the ethical standards of the institutional and/or national research committee and with the 1964 Helsinki declaration and its later amendments or comparable ethical standards and approved by the Institutional Review Board at the City University of New York. All procedures involving human participants were in accordance with the ethical standards of the authors’ institutional research committee and with the 1964 Helsinki declaration and its later amendments or comparable ethical standards. Christensen, D. L., Eds, J. B., Van Naarden Braun, K., Bilder, D., Charles, J., Constantino, J. N., & Yeargin-Allsopp, M. (2016). Prevalence and characteristics of Autism Spectrum Disorder among children aged 8 years—Autism and developmental disabilities monitoring network, 11 sites, United States, 2012. Morbidity and Mortality Weekly Report, Surveillance Summaries, 65(SS-3), 1–23. https://doi.org/10.15585/mmwr.ss6503a1. Retrieved from, https://www.cdc.gov/mmwr/volumes/65/ss/ss6503a1.htm#suggestedcitation.